The feasible shopping and dining options in Newport Beach have magnified its potential being a highly-recommended vacation spot for tourists who are looking for a quiet yet convenient getaway. Apart from that, the strategic location of Newport Beach being near to the recreational harbor as well as with the sea was also one of the main factors why Newport Beach would be an ideal travel destination for ocean lovers. With that, we have shortlisted ten recommendations for tourists’ consideration; accommodations that we deem would provide tourists with the best convenience and comfort they need! A home on the ocean, this powerboat is suitable for tourists who are looking out for fresh living that is out of the ordinary. Living life on the water, enjoy being able to witness both sunrise and sunset on the deck, laying under the gentle sea breeze with a glass of freshly brewed fruit juice by your side, and indulge in the peace of mind that comes with the languid sound of sea waves, just right under you. Guests can choose to sleep in the front bow of the boat or they could choose to sleep in the rear area, all up to guests’ preference! Apart from that, guests also possess the option to cook their own meal on the boat itself, fully furnished with an all-functional refrigerator, with a choice of dining in the restaurants downtown, located just a walking distance away. Located in a strategic location just right next to a restaurant, pier and bike rentals, this duplex is recommended for families who are looking out for simple yet convenient living in Newport Beach. The duplex is also within a 1 minute walk to Newport Beach, in which guests could access. For days when guests want a breath of fresh air, they could also walk their way downtown, 2 minutes to various amenities such as boutiques, grocery stores, restaurants and much more. Take the opportunity to experience the local Newport Beach lifestyle! Feeling adventurous? This cozy studio comes with just what you need! Well-equipped with all the necessities you need, you can now choose to explore the town of Newport Beach either with a bike, kayak, a SUP, or by following a tour. It’s all up to your preference! Due to its favorable location, you can also access various destinations in town in no time! Take some time off and venture into town, exploring the different restaurant options, dive bars, or even have some fun in the amusement park and learn more about the city in Ocean Museum, all within a good distance from where you live. Fancy hearing the soft sound of the sea waves right by your ear as you sleep at night? This unit provides you with just what you need, located just steps away from the bay beach. Specially recommended for water sports lovers, all the water activities you would like to try out in Balboa can be easily accessed from this unit, where you simply need to take a few steps to the beach, wasting no time to indulge in your favorite activities. After a day of activities, come home to a large shower space, or you could choose to use the spa-quality shower head, giving you yet another refreshing start to the next series of activities you are to carry out for the rest of the day. The unit is fully furnished with all that you need to keep you comfortable, so lay back, relax, and enjoy this vacation of yours in Newport Beach! Looking for a quick, convenient stay? We have just the right place for you! The vacation studio gives you simple living right next to the beach. Regardless of if you’re staying for short period or if you intend to stay for a long time within a reasonable budget, the vacation studio gives you easy access and convenience to the surf beach as well as to groceries and restaurants that you might need to refill your daily needs. So, sit back and let the studio handle what you need while you focus on how to enjoy your days here in Newport Beach. It’s time to take some time off with your family! 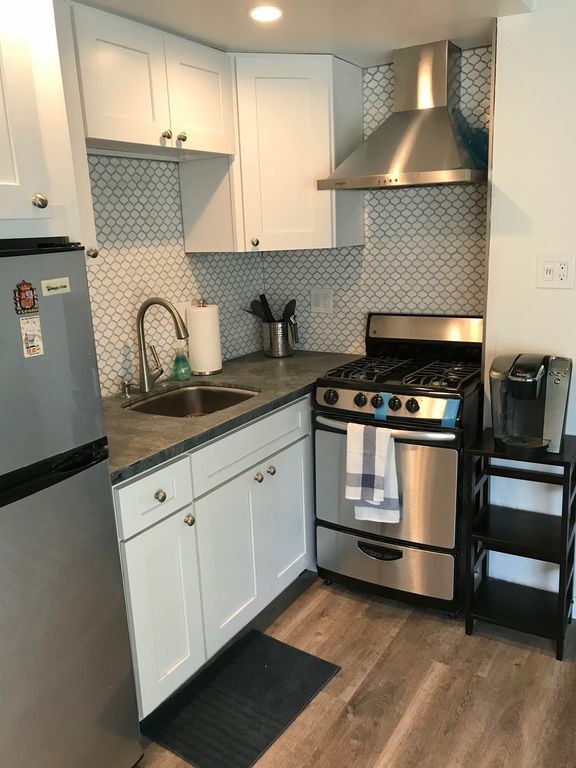 If you intend to visit Newport Beach with your family, this unit might serve you with everything you need to ensure a comfortable and convenient stay! You could take your time strolling towards the pier and the beach, located just 2-minutes away, and sit back and enjoy the sea view and sea breeze, giving yourself and your loved ones the peaceful day off you very much deserve! Apart from that, the unit is also fully equipped with all the necessities needed to fulfill your family’s needs. Kitchen utensils? Check. Comfortable shower space? Check. And of course, bedrooms with beds more than enough for you and your family. Think no more, start planning for that ideal family vacation to Newport Beach now! Looking for value? We’ve got you covered. The Balboa Inn is everything you need to have both your convenience and comfort covered within a reasonable budget. Recommended for solo travelers, check into a room equipped with everything you need, without requiring you to worry over the lack of resources you might face from this stay. It’d be a perfect stay for travelers who intend to stay for a short period of time, yet without compromising the quality of the stay they’d be getting from the inn. Be welcomed with high-class service the moment you step in the resort, providing you with top-notch services that would only make your stay here in Newport Beach even merrier. Recommended for business travelers, you can now settle yourself in a professional setting while you manage your workload in an environment that’s nothing but supportive, in which Internet services and a 24-hour business centre are provided, easing your business needs. So, make yourself at home now, and focus on your priority, while letting the resort handle your comfort concerns. Feel free to grab a bite in the restaurant located right in the resort itself while you enjoy the garden view. The cottage is designed with creators in mind, specially recommended for travelers who are in search for a boost of inspiration and creative juices. It is also a great place where couples can enjoy the exclusive Balboa experience by immersing themselves in the quaint charm of the island. It is also located very near to the business district – which business travelers might find good to know – as well as the shopping district, allowing guests to explore downtown whenever convenient. On top of that, guests could also choose to travel to the renowned Balboa Island via ferry, which is only a mere five minutes away and definitely worth the visit, especially when one is already in Newport Beach. Newport Beach is a place filled with surprises. Here, one could find a variety of elements that they would never expect, startling them and eventually, giving them a whole new memory. This is a place we would recommend for the creative souls, for travelers who yearn for a place which can give them new ideas, and whom are looking for a quiet escapade where they could let their mind rest. If you’re such a traveler, why not put Newport Beach onto your destination list now?